WEDNESDAY, Nov. 15, 2017 (HealthDay News) -- Talk about good genes. Researchers report they have discovered a genetic mutation in Amish families living in Indiana that not only protects against type 2 diabetes, but also appears to boost longevity. Even better, the Northwestern University scientists said that an experimental longevity drug that mimics this genetic effect is now being tested in humans. Those in the Amish families lucky enough to inherit this mutation live more than 10 percent longer and have 10 percent longer telomeres (the protective caps on the ends of chromosomes) than their kin who don't have the mutation, the scientists said. As if that weren't enough, they also had significantly less diabetes, lower fasting insulin levels and more flexible blood vessels. "The findings astonished us because of the consistency of the anti-aging benefits across multiple body systems," said study author Dr. Douglas Vaughan. He's a cardiologist and chairman of medicine at Northwestern's Feinberg School of Medicine. "For the first time, we are seeing a molecular marker of aging (telomere length), a metabolic marker of aging (fasting insulin levels) and a cardiovascular marker of aging (blood pressure and blood vessel stiffness) all tracking in the same direction in that these individuals were generally protected from age-related changes," Vaughan said in a university news release. "Not only do they live longer, they live healthier," Vaughan added. "It's a desirable form of longevity. It's their 'health span.' "
The mutation that Vaughan's team zeroed in on affects plasminogen activator inhibitor-1 (PAI-1), a protein known for its role in promoting blood clotting. Roughly 5 percent of this isolated Amish community in Indiana carries the mutation, which causes them to produce unusually low levels of PAI-1, the scientists explained. The mutation was introduced into this particular community by farmers from Switzerland who moved into the area, the researchers explained. Other Amish communities do not carry this mutation. "This is the only kindred on the planet that has this mutation," Vaughan said. "It's a 'private mutation.' "
Those who have it live to be 85, on average, significantly longer than the predicted average life span of 71 for Amish people in general. But others may one day be able to enjoy the same benefits, because a team of investigators from Japan has developed a drug that inhibits production of PAI-1. Not only that, but Dr. Toshio Miyata and his team at Tohoku University have shown in early human trials that the drug appears to be safe. So, Vaughan plans to seek permission from the U.S. Food and Drug Administration to start a trial in the United States as early as next year to examine the effects of using the drug to lower PAI-1 in people who are obese or insulin-resistant. Because of its essential role in clotting, the idea is to only lower levels of the protein, not eliminate it altogether. "We had been asked to test other PAI-1 inhibitors over the years by Big Pharma. None of them ever worked. But the first one Toshio sent us worked exquisitely well," Vaughan said. 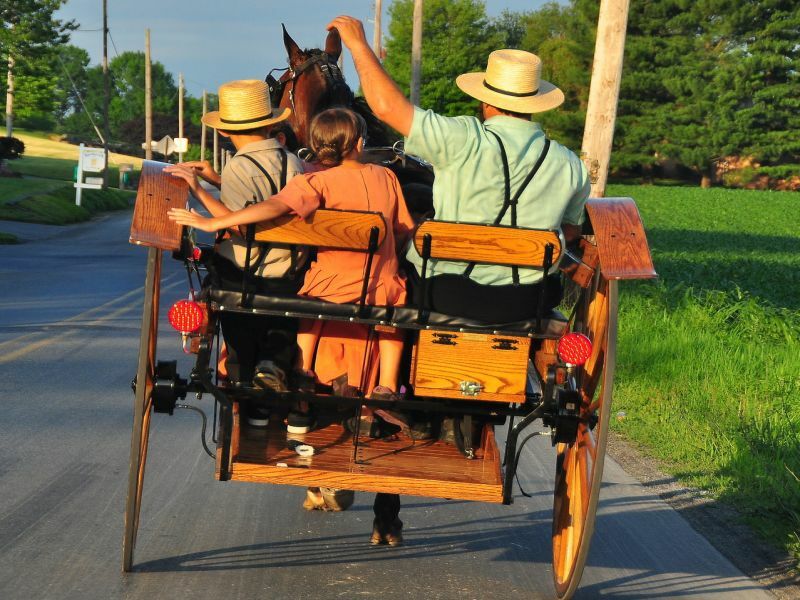 As for whether his team plans to continue studying this unique Amish community, Vaughan said, "We hope to be able to revisit them regularly and do additional testing to look at the velocity of aging in this kindred, and unearth more details about the protective effect of this mutation." The findings were published Nov. 15 in the journal Science Advances. For more on the biology of aging, visit the American Federation for Aging Research.